Durian dreams do come true, thanks to Marriott Cafe’s Durian High Tea Buffet (from $45). 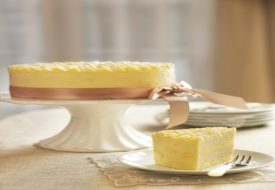 The buffet extravaganza, which runs from now until 9 Aug, will feature well-loved durian desserts including cream puffs, Swiss rolls and cakes. 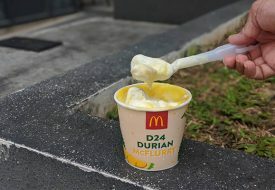 For the adventurous, there’ll be quirky treats like durian crème brûlée tarts, fried durian balls and even durian pizza. And if you ever require a short respite from these durian offerings, take all the time you need by tucking into the buffet’s accompaniment local and international fare. At first impression, the unassuming Durian Pizza appears to be no more than an ordinary cheese pizza. However, your pre-conceived perceptions will surely change once you sink your teeth into it. 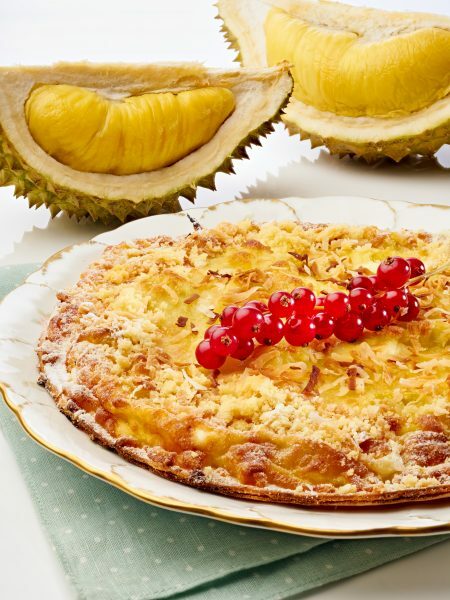 Blending sweet and savoury flavours, it features durian flesh laid on a crusty base, stringy mozzarella cheese and crumbled coconut shavings. 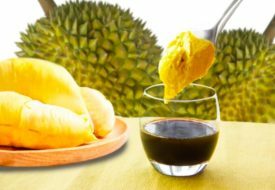 Singapore’s First Durian Cold Drip Coffee… Are You Brave Enough To Try It?